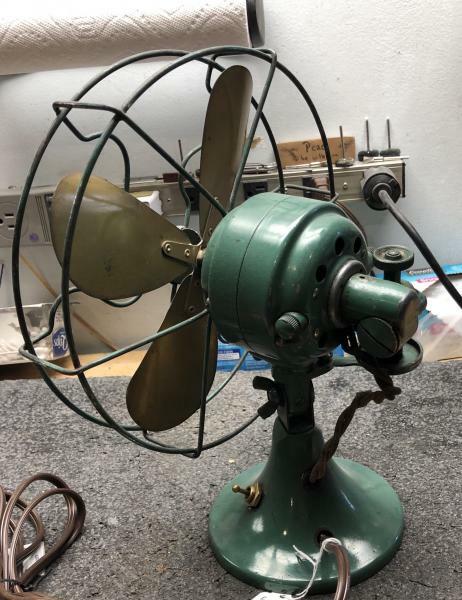 Anybody have a gear for a Signal desk fan? 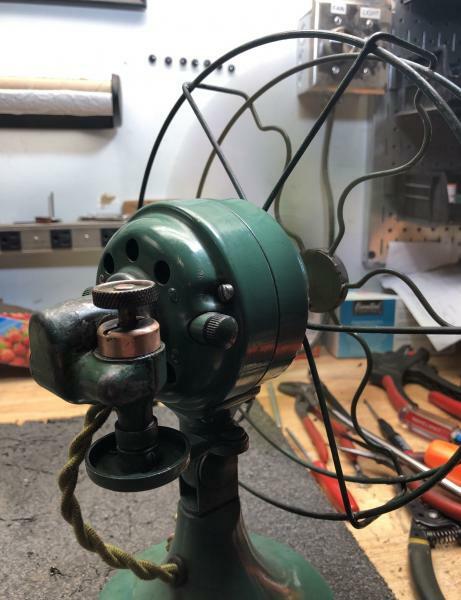 It’s a cool fan, well built, but needs a gear. It is .160” thick, approx. .71” OD, .250” ID. I found one! Thank you. David, that is the exact gear I’ve been searching for almost 2 years. Any leads for me? Scot Molgaard wrote: David, that is the exact gear I’ve been searching for almost 2 years. Any leads for me? 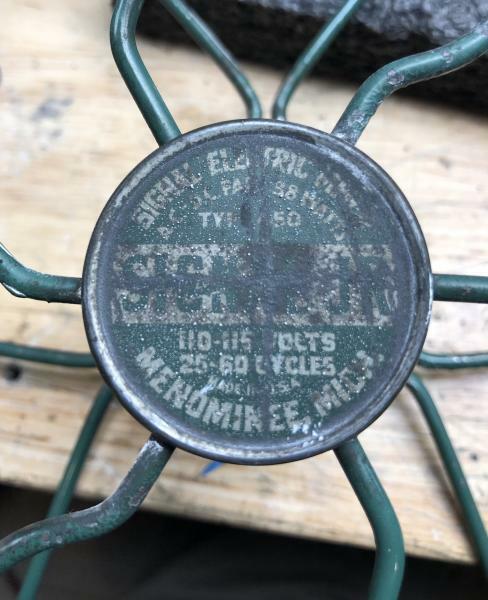 I did someone a favor, so when he found out I was looking for the gear, he gave me an old fan that had the gear, but was burnt up. Karma. 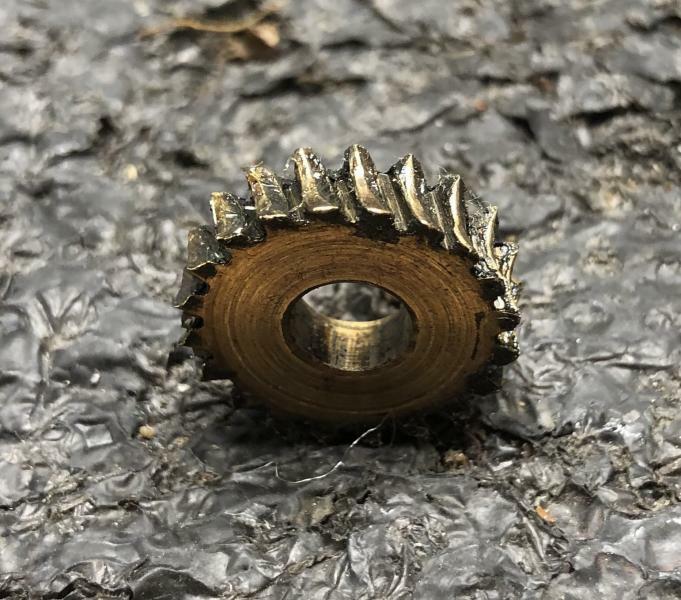 The replacement gearset has 15 teeth instead of 20 teeth. Probably an upgrade. 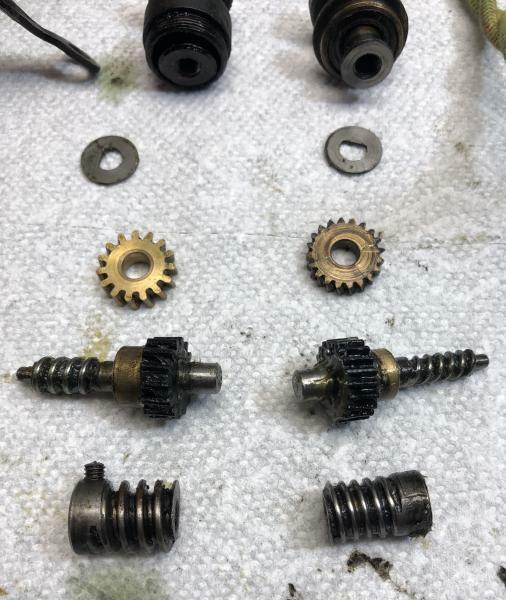 New gears on left, old gears on right. The oscillator knob bearing is a lot beefier, too. I got it fixed. 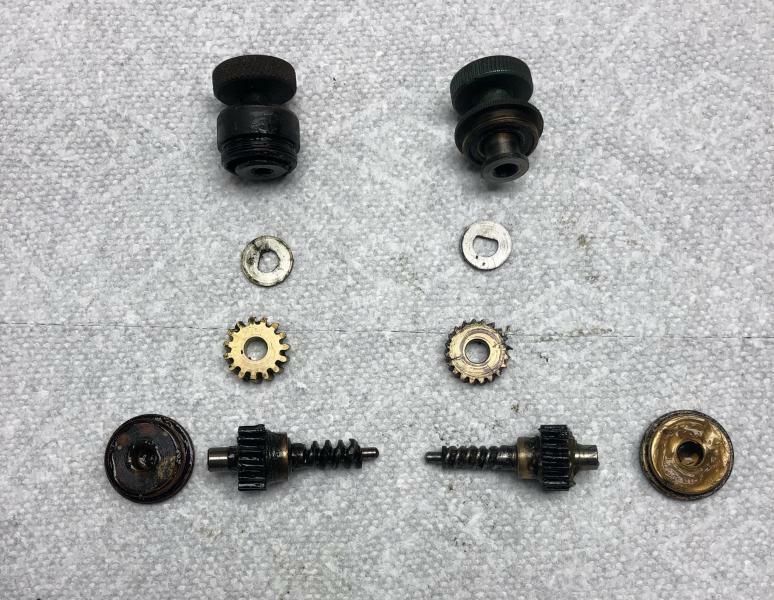 I had to swap the worm gear on the motor shaft and the oscillator knob assembly. When I cleaned the black off of the oscillator bearing, it revealed copper plated brass. This is common for copper oxide, but in this case, I think the copper plate acted as a primer to make black paint adhere. Page processed in 0.1585 seconds (17% database + 83% PHP). 28 queries executed.